The Dashner Dude: We have moved!!! Sorta a bitter sweet moment.. very awesome that your new site is up, and it's incredible! But at the same time, I really admired that you still used your old blog, even.. 'after you'd arrived'. Very happy that you were able to migrate your blog to the new site so successfully though. 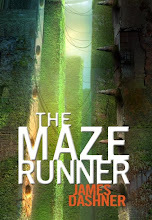 I am an 8th grade English teacher, and we recently ordered your book, The Maze Runner for the students to read as part of a unit on dystopia. The students love the book! I was wondering if there was any way that you would consider Skyping with the students for a few minutes or if it would be OK if the students wrote to you. It would be so awesome and inspiring for them! I am an assistant principal at an elementary school and we are trying to find a way to contact you for a school visit. I have looked over your site and it is mostly social media for contact. Who do we contact for visits? Ummm...it seems that his new site isn't really working. Is that just me or do you others see it too?!?! Hi! I'm a HUGE fan if yours, I don't know how to post a comment on your website so I'm doing it here. I've read all if these runner books including the kill order, and usually I don't like the prequels or sequels to books but every single book was beyond amazing! I really hope you get this, my email is sblbetti@gmail.com I hope you can contact me, I can't find any fan mail accounts :( I cannot wait for the movie! Dylan O'Brian is my favorite teen actor and chuck is perfect! You're the best writer EVER!!!!!!! What could share so much more, as well as the results can be brought meaning to.